Looking for alternatives to Inaport? Tons of people want On-Premise Data Integration software. What's difficult is finding out whether or not the software you choose is right for you. "Mature Software, Great Community, Great Support: Software AG webMethods is mature integration product suite. Excellent documentations. Great support. And you can find a lot of skilled specialist. It has solutions for EAI, B2B, BPM, Big Data, API Management, Microservices, and Cloud. With FLEX license, we are able to implement unlimited number of cores and instances. Has support for DevOps and Continuous Integration. Can be integrated with various opensource platforms like Jenkins, SonarQube, and ElasticSearch It is cross platform. Easy to maintain and manage. It supports various database, high availability clustering, various security technologies like OAuth & JWT. It has adapters to various applications like JDBC, MQ, SAP, AS400, FileNet, JMS, and various cloud applications. It supports various integration patterns including messaging integration pattern. " "Great all purpose tool for Data Integration and ESB: It has a clear and easy to understand interface to design jobs and services. The same way you design data integration job can be used to design services. It is easy to enhance by custom components and can adapt to all requirements. It is Open Source. It has a very huge list of connectors to all databases, SAP, cloud platforms and can work with nearly all formats like JSON, XML, Excel, CSV or what ever - also main frame formats are usable like EBCDIC." "I have used informatica powercenter for the last 5 months and I found out it is easy to learn. : I mostly like working with the informatica designer as it is very easy to get source and targets by connecting to the server. There are variety of transformations available to clean the data and you just have to find the right one." "IBM InfoSphere Information Server Review: Complex capabilities including parallel processing and Big Data Unstructured data.processing. Well established product with strong user base and support communities. IBM support is great. Simple GUI for easy learning." 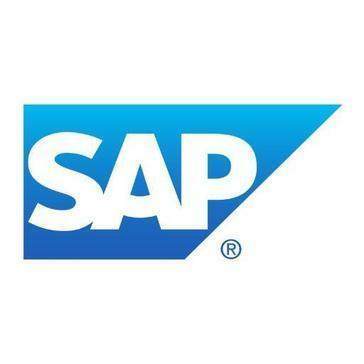 "A very neat tool for large volume data migration: In-built validation steps, easy interface with SAP systems, Ability to merge data from various platform into one single source of data, transformation of the legacy data. " "Extends Reporting functions of Microsoft Dynamics: For our business/accounting needs, the reporting native to Dynamics was poor and limited. 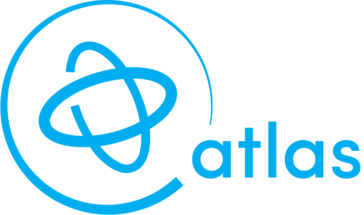 We've found Atlas able to provide the key financial info needed. Does require savvy Excel users to use, but those skills are common in Accounting teams." "Using Centerprise has been transformative for our data migration processes: The software is very powerful, intuitive to use, and support has been responsive. One of the best features is the ability to preview the input or output of any step in the data flow." "Pros & Cons of Oracle: How it keeps track of past changes and hoe all data is saved in specific spots. It stores all data you could ever need for products and has the capability to changes all different aspects of products for our site. I like that each department throughout our company can make and save changes so we are all contributing. " "Neuron ESB a powerful product with a great support: Neuron ESB has the distinction of being very easy to integrate. The development environment used is indeed very similar to that of Microsoft (Visual Studio). This allows our developers to not feel lost when integrating Neuron ESB. The installation and configuration is when it is very intuitive. In addition to being easy to use, ESB neuron simplifies messaging and facilitates the rapid integration of applications. There is also an acceleration of the adoption of a service-oriented architecture. Neuron ESB has the ability to collect and read some or all of the messages on the bus." "Experience Migrating to Shareplex from Streams: In my experience, Shareplex is fast, flexible, easy to install and configure, and easy to maintain. From my perspective, the conversion from Streams to Shareplex was amazingly simple and went very well. My feeling is that the overall experience has been very positive. Streams Migration - I've worked with Streams for over 7 years and spent probably more time than I should have evaluating four different replacement products. With Shareplex, I found migration from Streams to be very simple. It was just plain easy. Speed - In my own testing, Shareplex was significantly faster than three competing products that were evaluated utilizing real workloads. Ease of Use - In my experience, installation couldn't be much simpler. Also, configuring tables for replication is also very easy for the roughly 2,000 tables configured in our environment. Monitoring - We monitor Shareplex for errors using features built into the product. We monitor latency utilizing a custom heartbeat table to model the approach we had utilized with Streams. Both were very easy to configure based on my own experience. RAC/Cluster - Our environment consists of several Exadata clusters. Shareplex seemed to integrate well with Oracle Clusterware and seems to support the built-in HA failover capability through the usage of application VIP's well. Flexibility - Based on my own experience using and/or evaluating other products, Shareplex is among the easiest to configure when it comes to basic functionality such as: replicating to a different target table or schema name, excluding certain DML such as inserts, deletes, updates, etc. Cruise Control - Based on my usage of the product, far less time will be required to keep it running smoothly compared to Streams. The way the product is configured out of the box to automatically retry operations that fail (maybe due to deadlock, etc.) and the type of operations that are excluded by default (but can be easily enabled), will require minimal human intervention. This is a big plus based on my own experience. Conclusion - My opinion, as the primary DBA who evaluated various products, architected the Shareplex migration, and deployed the same, is that we made the right choice. I'm am personally very satisfied with our decision to choose Shareplex as our Streams replacement. " ImportOmatic is a data integration solution for Raiser's Edge. "I want more than a one night stand with ImportOmatic. I want a Long Term Relationship. : ImportOmatic is life changing. The standard Raiser's Edge importing features are a nightmare but ImportOmatic makes it totally dreamy to do complicated imports! Their customer support is outstanding and they are continually developing the product based upon customer feedback. Additionally, there is a lot of good information in the forums and their training videos are quite helpful. ImportOmatic revolutionized my job, and Omatic Software is my now my favorite software company! Their tools are AMAZING!" Astera ReportMiner data extraction software enables you to liberate business data trapped in printed documents so that it can be integrated into a company’s database for operations and business intelligence applications. This saves significant human resource time and dollars, as well as freeing up resources for other more important work. "Powerful tool: What i like the most about report miner is the ability to create functions and calculate fields. I like that to create the model is really easy, it has a tool to grab the rows just by clicking. is intuitive, and powerful. you can zoom the file if the file has many fields and you need more space to separate the fields. you can also test the export before exporting. it convert the data type depending on the value that you get in the field, from datatime, int, or text." "Best Data Translator Available: Sets the standard for geospatial and non-geospatial data translations. The software allows you to do simple point-and-click data translations, graphical user interface (GUI) translations and code-based script translations." AWS Server Migration Service (SMS) is an agentless service designed to make it easier and faster for users to migrate thousands of on-premises workloads to AWS. "Great Idea But Fraught With Problems: I like the fact that it has a connector for several different types of emulators, and frankly, that it exists at all given that migration from data centers to AWS is a given and there aren't many ways to do it." The Informatica enterprise data integration product family is scalable, high-performance enterprise data integration software. These products access and integrate data from virtually any business system, in any format, and deliver that data throughout the enterprise at any speed. "I use this product for data cleansing and monitoring for both day to day business and implementation: The ability to sync multiple business systems on different platforms, and in different geographic locations to sort and compare data elements. dashboard reporting and drill down capabilities are also excellent tools." 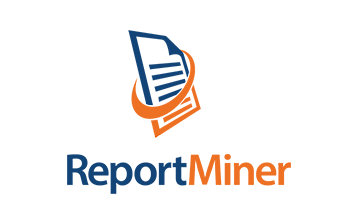 Scribe Insight is integration software for front office and back office integrations for mid-market and enterprise business. "A great tool to integrate systems: Even when Scribe provides a lot of connectors to the most popular and not so popular software, it still have great capability to connect to different data sources which is great when you have legacy systems or in-house developed systems. It is a very reliable tool that you just have to setup and let it be, you can be sure it will perform as expected." AWS Snowball Edge is a 100TB data transfer device with on-board storage and compute capabilities. "Quickest way to get Big Data to the cloud: The fast transfer of our large data pools to the cloud. When migrating on-prem DB's this is a life saver"
Data Virtuality Platform is a data integration solution that allows its users to instantly access and model data from any database and API with analysis tools. "Highly reccomendable data warehouse solution: Having used Data Virtuality for the past 4.5 years, I can say that Data Virtuality is a solution that is both easy to learn and hard to master (in a positive way). The manner in which we have set up our data driven environment has been made possible through Data Virtuality. The logical data warehouse first enabled us to rapidly access and combine many separate data sources in an ad hoc manner and later, provided us with the tools to set up a well structured, fully featured data integration and data warehouse solution. 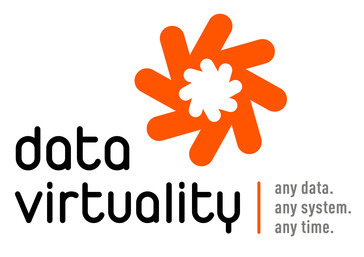 Data virtuality virtually takes in all data sources and enabled us to process that data for it to be published to any desired client tool, either via a ODBC or JDBC drivers or via the built-in REST service. The support team at Data Virtuality responds very fast and correct to any question and on more than one occasion has gone 'the extra mile' to satisfy our support needs." Performance-optimized SSIS Data Flow Source, Lookup, and Destination components for databases and cloud applications. "SSIS ETL Services: Making connections is easy with SSIS. You can track execution activity by just looking at data flow task progress. When converting source components to destination data types, the SSIS makes it super easy and takes care of metadata issues and synchronization on its own. All in all a very useful product for ETL design." AWS Snowmobile is an Exabyte-scale data transfer service used to move extremely large amounts of data to AWS. "through it we can securely move Exabytes of data! : i have been using AWS Snowmobile for 2 years , the first thing about AWS snowmobile is that it's reliable and secure so you can transfer even 100 PB's of data using it very securely and easily , the most amazing thing about it that we can move different different categories of data like huge and compressed video libraries , image repositories etc. , and if you don't want to move data in small small chunks than you can also able to do complete data center migration easily , securely , fast by using AWS SNowmobile.. "
Hi there! Would you like help finding solutions similar to Inaport?